Creating your own games couldn’t be easier with the in-game assets we provide to you. 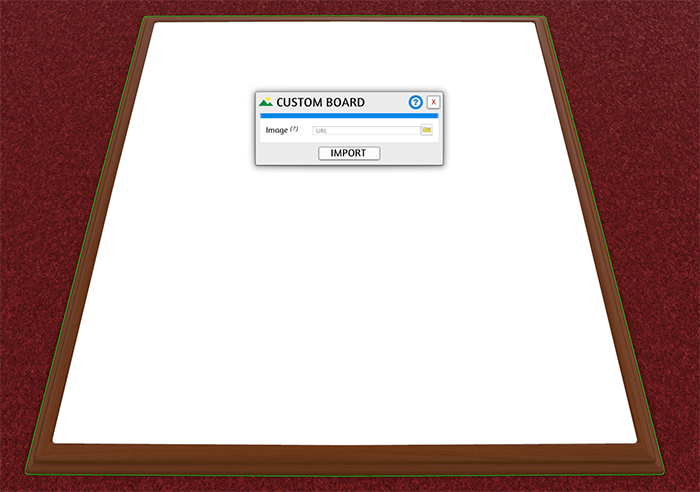 One of the easiest things to do is to create a custom board. Click on Objects -> Components -> Custom. Then choose Board. Choose an image on your computer and upload to the Cloud if you want it to be viewed publicly or choose Local if you are testing by yourself. Additionally, you can upload your image to any host and input the URL manually. Press open and choose whether you’d like to import it to your Cloud (recommended for multiplayer) or Local (good for your eyes only). Whichever you choose, you now have your own custom board! 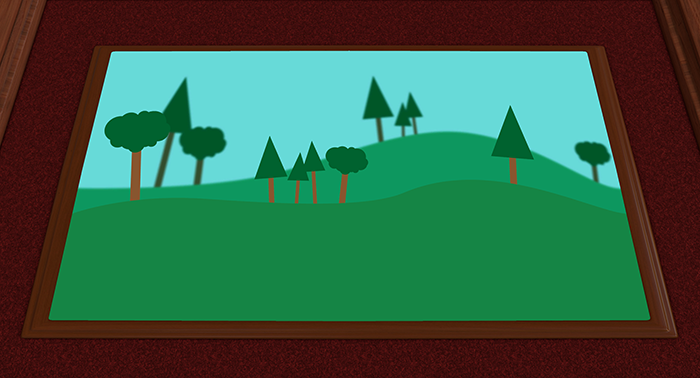 The board will adjust to fit your image’s aspect ratio. You can use the custom board as a base to your board game, individual backdrops for any tabletop scenes and much more. 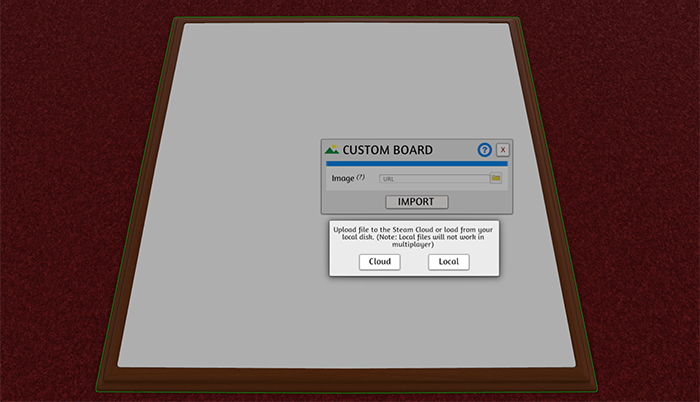 While the boards are locked by default, you can right click and toggle the lock on or off or hover over the board and press L. Then you can move the boards, shrink or enlarge them and place them where you’d like. ALT Zoom cannot be used on boards, but you can use the Magnify (M) command to view a close up of it if needed.